In Stendhal’s masterpiece The Charterhouse of Parma, the hero, Fabrice, although at the scene of the action, spends most of the battle of Waterloo asleep, and the rest in a fog of bewilderment about what exactly is going on in his particular corner of a foreign field. He ends the day unsure as to what kind of historical event he has witnessed, and unaware of the famous victory that is being trumpeted. 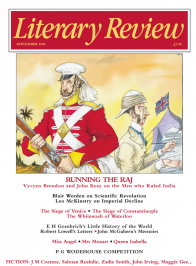 If such a jaundiced view can only be expected from that embittered old Bonapartist, the novelist nevertheless puts his finger on the great problem of military history: who has the eagle’s-eye view of battle to enable the emergence of the omniscient, official, ‘true’ account of what actually happened?